Dr. James Parrish responds to recent research that shows how bariatric surgery has become safer and more effective over time. 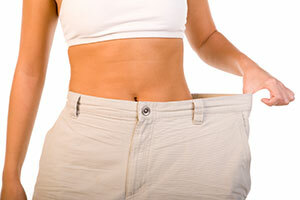 As a bariatric surgeon, I have seen many success stories from my patients who have undergone weight loss surgery. When these patients first came into my office for their consultation, many of them were concerned they would end up gaining weight again after the surgery. I am sure there are plenty of others with the same fears who might even be too scared to visit a weight loss surgeon for more information. Fortunately, these procedures have been around for a while now, and have consistently proven to be safe and successful in the long-term. In fact, the Journal of the American Medical Association (JAMA) recently published a study concluding weight loss surgery is safer than in the past and can lead to substantial weight loss with long-lasting effects. The study also notes that both gastric bypass and gastric sleeve surgeries were more effective for long-term weight loss when compared to gastric banding. In my practice, I tend to agree. For most of my patients, I typically recommend they select either Roux-en-Y (gastric bypass) or vertical sleeve gastrectomy. Overall, bariatric surgery continues to be the only effective means for long-term weight loss in patients suffering from obesity. I am proud to offer these procedures, and I am happy to be able to help my patients start a healthier lifestyle. If you are interested in learning more about the effectiveness of weight loss surgery, please contact my office today. Please request to schedule a consultation if you would like to meet with me for a more personalized look at which weight loss surgery option might be best for you.